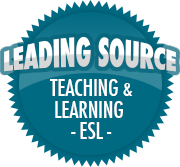 Five Effective Strategies for Supporting English Language Learners in the Classroom | So, You Think You Can Teach ESL? These are excellent strategies! I try them all in my classroom at one point or another. As with many teaching strategies, some are more effective than others. Try them all and see which one(s) work best for you!